A small-scale company in Australia has a big idea of installing solar panels in remote villages of Quelicai, East Timor. The company behind this venture is known as ATA and is a non-government as well as a non-profit based organization. The project has to be managed using project management principles. The entire scope of the project involves raising funds, preparation of project plan, providing training to the team and selection of beneficiaries (Greer, 1988). The project has to be watertight in management in order to ensure that the ambitious project can be taken off. Otherwise, this could mean a huge setback for the small organization behaviour which may not be able to survive afterwards. In order to ensure, the project is a success, project management involves usage of certain tools and techniques to verify if there are any deviation in the deadline or the budget of the project. Schedule Deviation: This metric under EVM measures the status of the project in percentage ranging from 0 to 100 wherein 100 being completed. This helps measure the status of the project at any given moment and if there’s any deviation in terms of the current start and current end date vs the estimated ones as well as the number of tasks achieved as on any given date. This allows quick tracking of these elements. During the implementation of proposed project, the project should be on track because installation work cannot go beyond the deadline as there is no storage area where the solar panels can be stored for long (La Trobe University, 2017). Cost deviation: The cost deviation tracks the estimate cost of the project versus the actual cost that would come out to be. Any deviation whatsoever in terms of the cost of the project can be instantly and easily detected using this metric. A positive cost variance means the project shall be completed well within the budget and a negative means the opposite. ATA is a non-profit organization, hence the cash inflow and cash out flow has to be monitored in weekly reports to maintain the cost under track. Apart from EVM, a Gantt Chart is also an effective tool to allow for quality controlling as well as monitoring the project. This particular tool makes use of graphical charts to track progress of the given project. With Gantt chart, the benchmarking of activities and milestones is possible (Xu & Yeh, 2014). However, if the project is extensively complex and is incompatible with certain Gantt chart principles, then it could get difficult to track the project effectively. With the help of Gantt chart, ATA can check whether the phases of installation and storage have been conducted as per the schedule or any task is uncompleted or whether the team has received the permit for installation and so on. 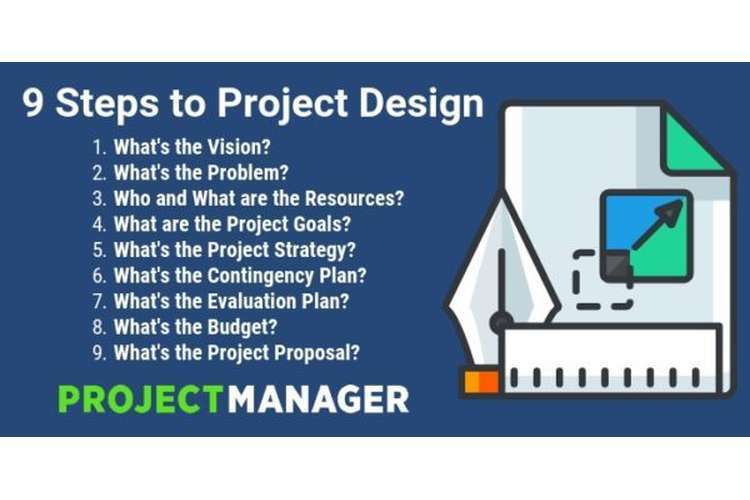 Also, the project manager would need to execute sequential demands in the project. Gantt chart requires the project manager to follow a set of formulas while executing the programs. As a result, Gantt chart tool could impose some challenges in using it to handle controlling and monitoring functions for the project. Another tool is known as PERT or Program Evaluation and Review Technique. PERT is among the most famous techniques used in project management for evaluation of project. By using PERT, a project manager would be able to understand various activities as well as milestones in the project. The implications, costs as well as the timeline for the said project. Furthermore, PERT is also a brilliant tool in order to highlight and list a proper sequence for all the activities that needs to be carried out in the given project. However, to be able to effectively utilize PERT, the project manager would need to incorporate both project milestones as well as activities as an initial step for control and monitoring. Incorporating PERT for monitoring, controlling and evaluation of project, it would produce better results as it also involves the use of network diagram (Trietsch & Baker, 2012). A network diagram depicts parallel activities that takes place in variety of phases of the given project. As a result, by making use of the parallel lines as well as activities and bubbles to label the milestones, project manager would be able to better provide controlling and monitoring mechanisms. Another key factor in making use of PERT is the ability for time estimation as to when the project could get complete. Also, PERT allows for determination of critical paths which requires expedited measures. Now owing to the fact that the project will undergo massive and frequent changes, the PERT tool will enable ATA to rapidly update information as well as include new values so as to meet the optimization requirements. Apart from the tool selection for evaluation, controlling and monitoring of project, it is also equally important to identify reporting structure and format for ATA project. The report that is to be prepared by the manager and his team should incorporate essential details for stakeholders. This includes progress of the report and the same can done using the format provided by PMPS or Project Management Planning Software. The software requires the manager to incorporate financial details such as cost of the materials, resources, the time lapsed so far, the resources that are remaining and so on (Milosevic, 1987). Next important matter in the case of ATA is the frequency of board meetings. This is nothing but governance board meetings and it is an integral and important part of the project. It allows for vital decision making while also evaluating the progress of the Solar project. The frequency of meeting needs to be pre-determined and this should be at least on a monthly basis to begin with. Later this can be changed based on how the project progresses. These meetings will ensure the project does not face any major hindrance and if it all it does, then an appropriate decision can be taken by the higher officials. Apart from the board meetings, the exact set of attendees is also an important criterion. The because without the right set of attendees, the meeting could prove worthless in the end. As a result, there should be a representative from the local community that understands the project. The attendees should also include the project manager along with the stakeholders who can make informed decisions (Ponnappa, 2014). Along with that, a representative of the contracted company is also required to be present in these meetings.